We're back with another great episode of My College Life (with Alex Tellez). 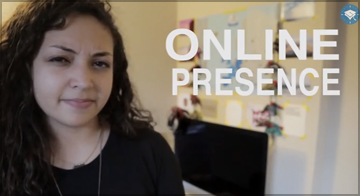 And this time, our intrepid student filmmaker tackles a really important topic: why your "online presence" is so important when it comes to college admissions...and what you can do about it! Alex describes what online presence means, and gives you three great tips for making sure you put your best foot forward on the interwebs. Let us know your thoughts in the comments section below. Do you have any other tips for managing your online presence?